Hartsville, S.C. – June 7, 2018 – Coker College assistant professor of business administration and director of the Center for Leadership and Entrepreneurship, Dr. Andrew Burkemper, has been elected to serve on the Enactus Faculty Advisory Committee. Enactus is an international organization that connects student, academic and business leaders through entrepreneurial-based projects that empower people to transform opportunities into real, sustainable progress for themselves and their communities. Guided by academic advisors and business experts, the student leaders of Enactus create and implement community empowerment projects around the globe. Coker is one of 440 active Enactus teams in the United States and currently has 31 participating students. Coker College Enactus advanced to the Top 16 semifinal round for the first time in 2017 and continued the momentum by making it to the Top 4 final round this year. The team was recently named third in the nation at the Enactus United States National Exposition held May 20-22, 2018, in Kansas City, Missouri. Enactus Faculty Advisory Committee members are elected representatives of the diverse network of colleges and universities across the country that participate in the organization, and they help Enactus USA shape policy and serve as the primary communication channel among Sam Walton Fellow faculty advisors, teams, colleges/universities, and Enactus USA headquarters. The commitment is a three-year term beginning September 1, 2018. Approximately 25 members serve as Enactus Faculty Advisors. Members of the Faculty Advisory Committee are required to have a distinguished record of service at their current college/university and serve currently as an advisor to an active Enactus team, and will remain an advisor throughout their term. 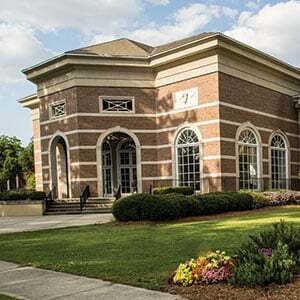 For more information about Coker College Enactus, please contact Andrew Taske, Director of Coker College Enactus, at ataske@coker.edu or 843-857-4125.